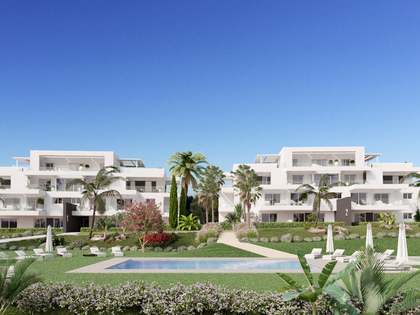 Brand new 3-bedroom first floor apartment to buy in Estepona. 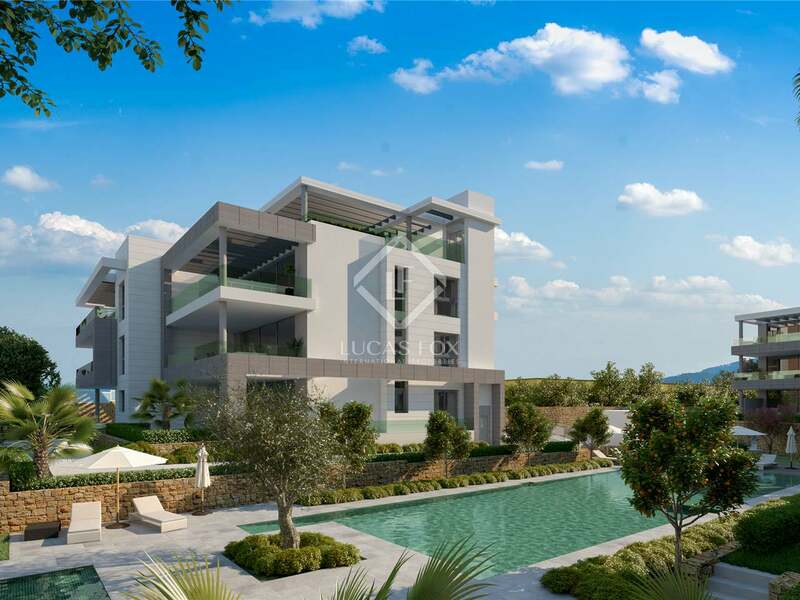 This property is part of the New development in Estepona. 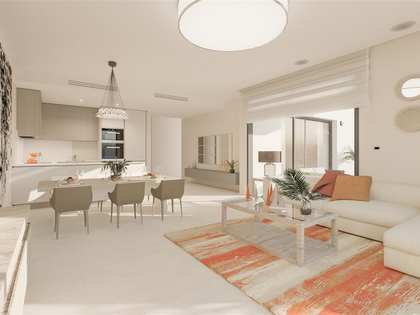 New luxury development in Estepona offering modern 2-3 bedroom apartments and penthouses in a beautiful setting. 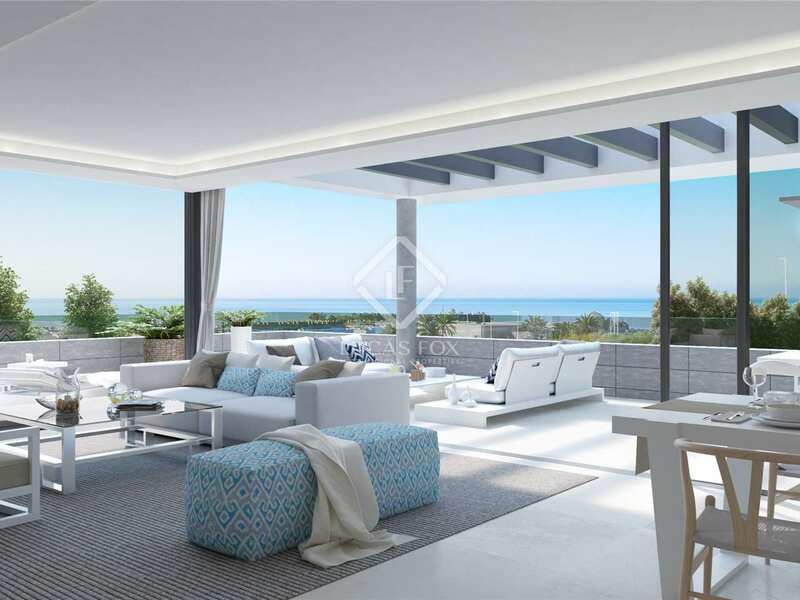 Contemporary 3-bedroom apartment with a wonderful terrace in an exclusive Estepona complex. This first floor property is found in a charming modern gated community with landscaped gardens and beautiful views of the Costa del Sol. 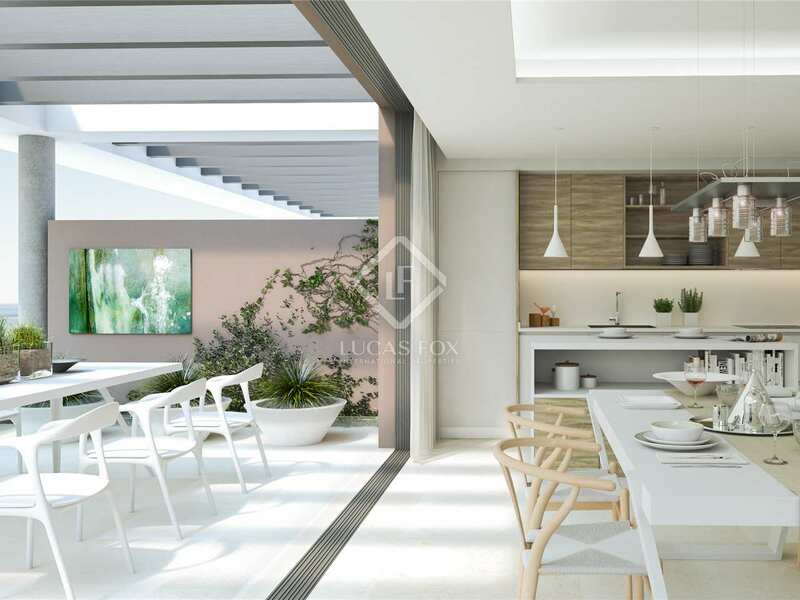 Inside the apartment we find an open-plan area which includes the kitchen, dining room and lounge with large sliding doors out to a fabulous terrace with views. There are 3 double bedrooms and 2 beautifully designed modern bathrooms in this particular first floor apartment. Large windows and sliding doors maximise natural light and views, and the highest quality wood, stone, marble, glass and brushed steel finishes have been used throughout along with cutting edge technology, creating a home that is both beautiful and practical. As with all of the properties in this community, the apartment has a garage parking space and a storage room. This private gated community offers security and fabulous communal areas including carefully landscaped gardens, two swimming pools – one designed like a beach – and a beautiful chill-out panoramic rooftop lounge complete with luxurious Balinese beds with views out to Marbella's La Concha Mountain and the Mediterranean Sea. 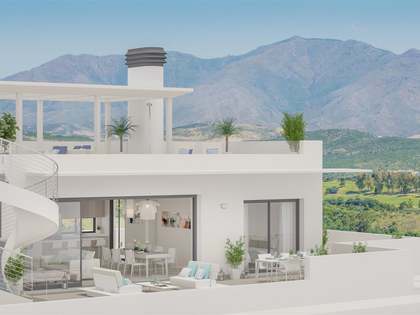 Situated half way between Estepona and Marbella, this new development occupies a privileged natural setting that is conveniently close to the shops, schools, restaurants, beaches and sports facilities of the Costa del Sol. The village of Cancelada, sandy beaches and region's coastal road are all just a few minutes' walk away, while Estepona is less than 15 minutes' drive away as is the little town of San Pedro Alcántara.